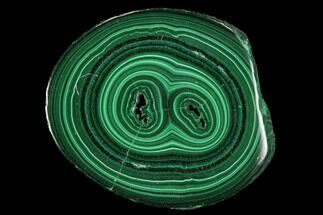 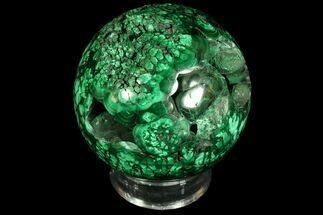 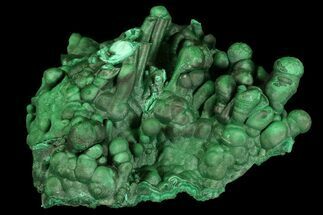 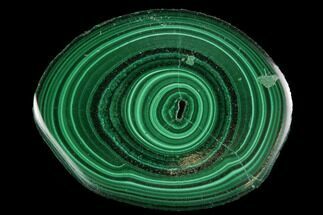 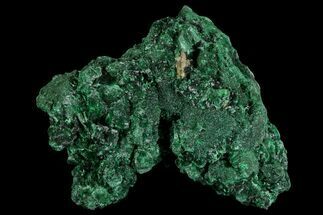 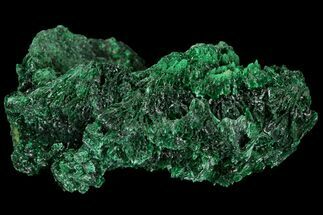 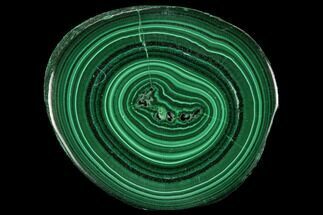 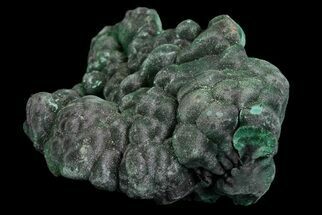 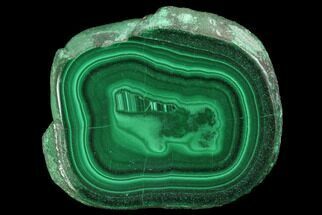 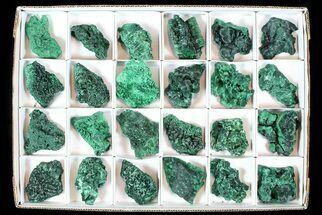 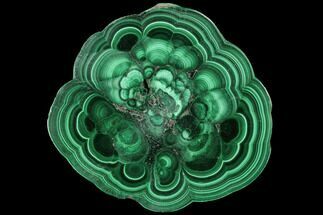 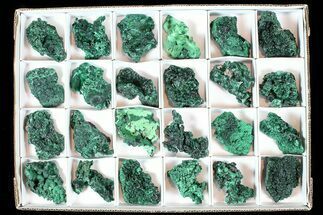 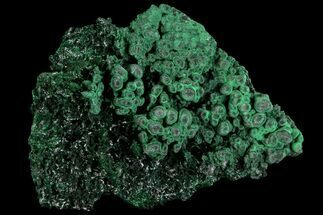 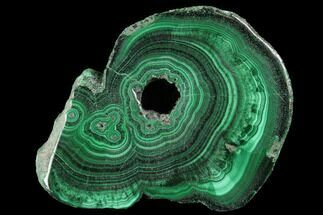 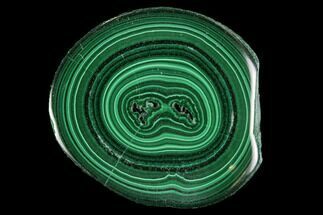 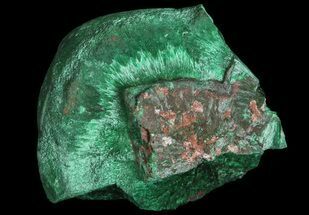 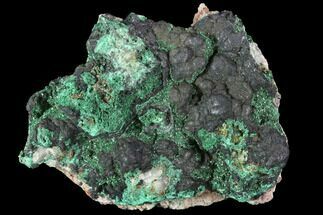 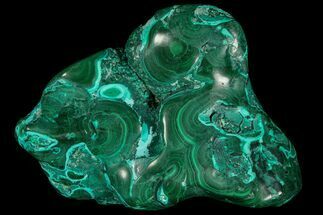 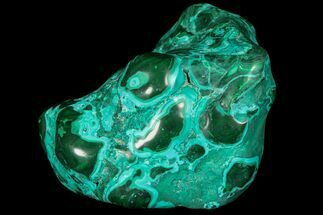 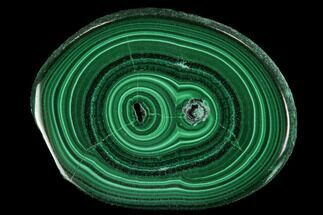 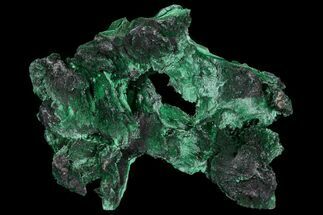 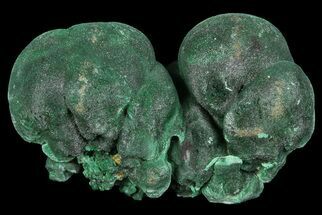 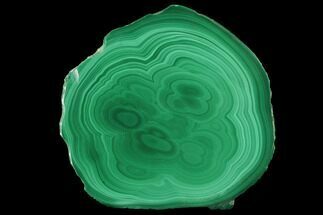 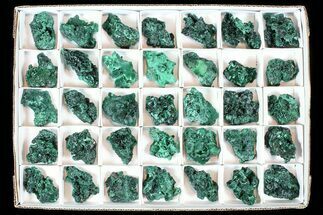 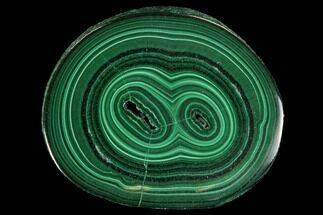 Malachite is a dark green, copper based mineral with the formula Cu2CO3(OH)2. 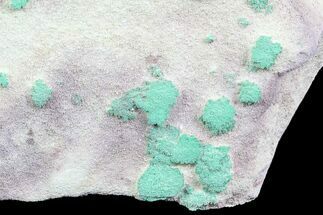 It often forms botryoidal masses in fractures deep underground where the water table or hydrothermal fluids provide the means for chemical precipitation. 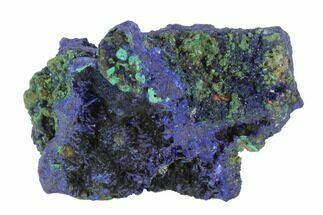 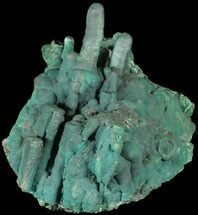 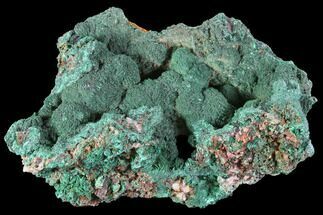 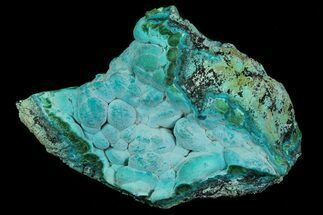 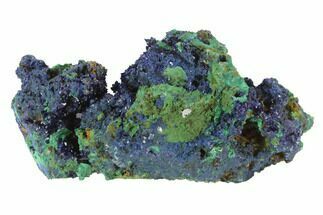 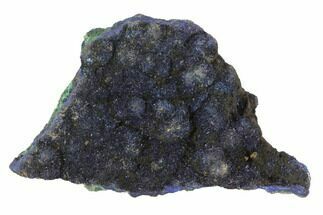 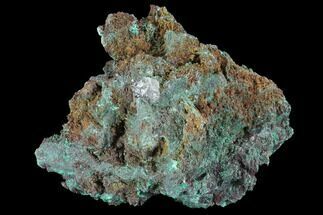 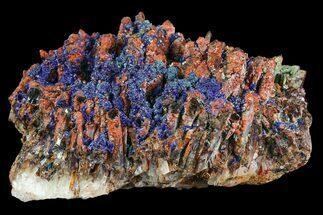 It rarely forms crystals and it is often associated with another copper based mineral azurite. 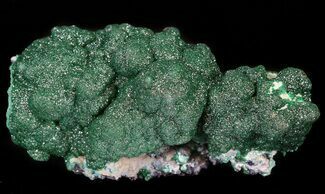 It was used as a mineral pigment in green paints from antiquity until about 1800.